We don’t celebrate Valentine’s Day in my house. However, I know that for many it is a day and night to enjoy, and make a special effort to spend time with the one you love, and rekindle some romance. 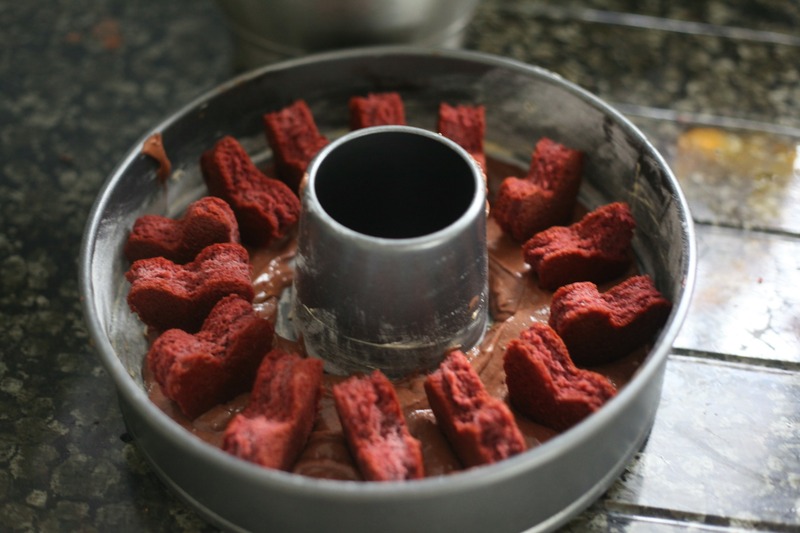 When I made my Comic Relief inspired Red Noses Day Cake the other week, I had some extra red velvet batter leftover, so I baked a traybake and cut out some heart shaped pieces which I have been keeping in the freezer ever since. 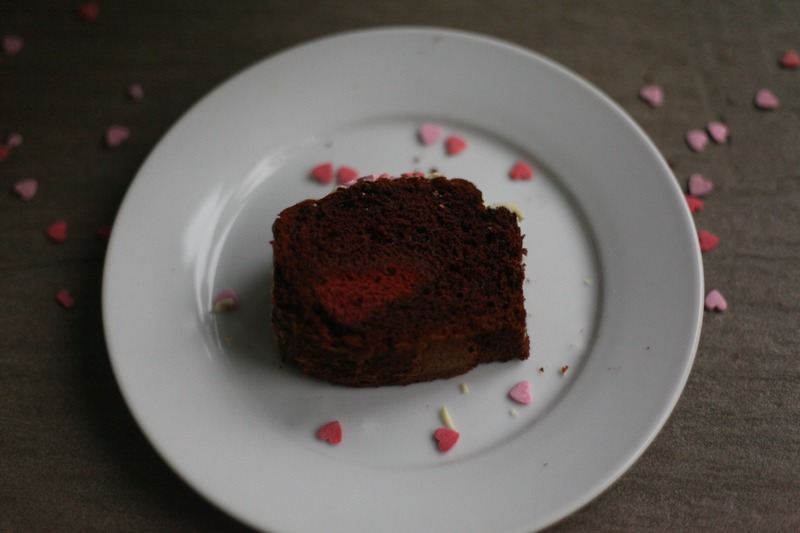 I then cooked a simple chocolate sponge cake and placed the hearts inside the batter and then covered with the remaining batter to give a surprise heart effect once the cake was cut. The hearts did not show in the slices aswell as I had hoped for (this was the first time I have attempted this effect), but you could see the red and so I do feel that there was a surprise if only a smaller one than I had planned for! 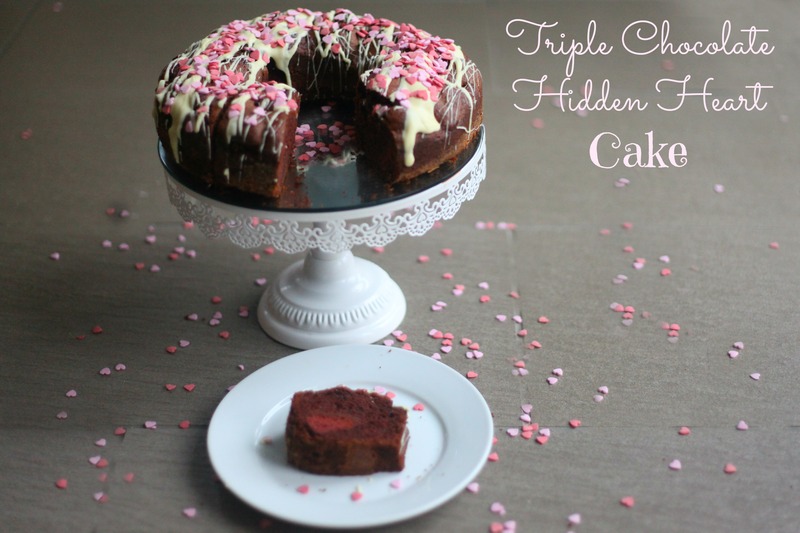 If you fancy giving this a go then here is how I made my Triple Chocolate Hidden Heart Cake. 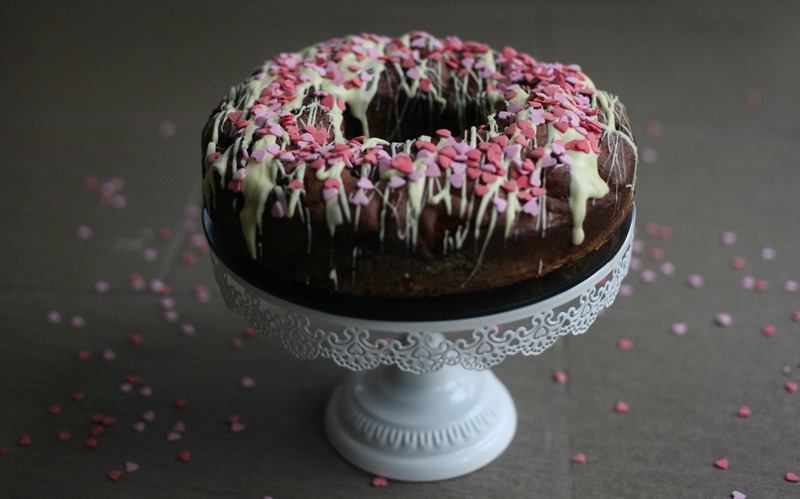 You could make this cake for the one you love, or in my case why not make it for yourself??? Mmmm well as I said, I do love cake!!! so pretty! I was going to make a heart loaf this morning, but in the end just made a loaf! 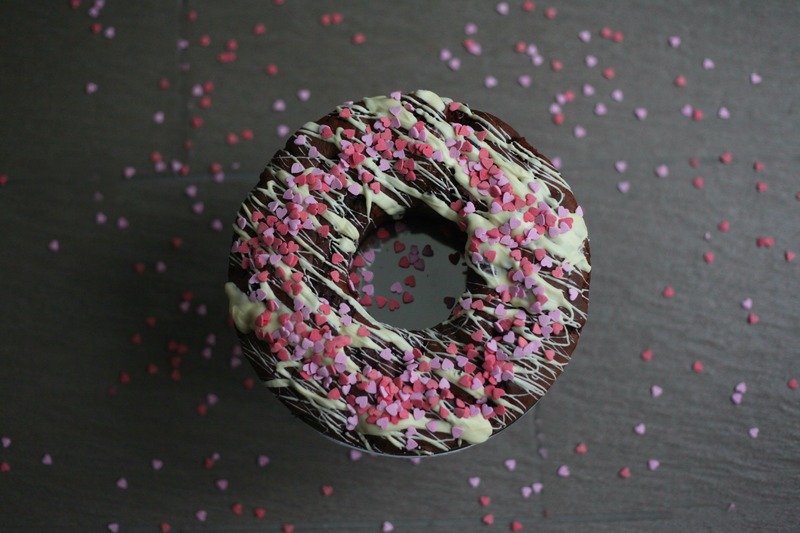 That looks absolutely lovely and giving me cake cravings!